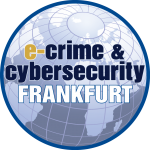 The German Managed Services company PATECCO will take part as a branding sponsor in the 12th e-Crime & Cybersecurity Congress. The event will take place on 23rd January 2019, at Steigenberger Frankfurter Hof, Frankfurt. The E-Crime congress is organised to meet the needs of professionals from the private sector and government enterprise IT departments. It delivers critical information on hot topics such as information security, cybersecurity, cyber risk management, secure technical implementation and legal data protection in Germany. The event delivers critical and unique insights that can help drive the direction of technology and security strategy at some of Germany’s largest corporations and public sector bodies. The e-Crime & Cybersecurity Congress features expert speakers from industry and the market’s leading service suppliers to deliver critical and unique insights on technology and security strategy, practical advices that can help assess exposure to, articulate and proactively mitigate the impacts of emerging risks. The congress is a good opportunity for PATECCO to stay up-to-date with the latest developments in emerging security technologies. That helps it to develop innovative solutions addressing business priorities and operational objectives in order to reduce risk, protect data, ensure compliance and strengthen security posture. The IAM company is planning to share its best practices how security frameworks and methodologies are being applied for the creation of new business opportunities, for increasing productivity, decreasing costs and enabling agility. Its team of experts is ready to speak directly with people who are managing similar projects or who are interested in that matter. The cybersecurity event is focusing on these and other key subjects for its audience of professionals tasked with safeguarding digital assets and sensitive data. There will be a number strategic talks and technical break-out sessions from security teams behind some of the world’s most admired brands that security is now more important to business than ever.